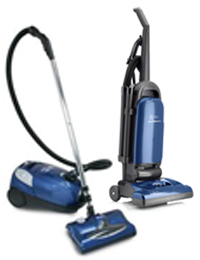 Mars Discount Vacuum has been a factory authorized warranty center for Riccar since 1979. Riccar America has been in business for over 55 years in St. James, Missouri, selling quality home products through an authorized dealer network. American made products not only ensure quality, but also keep more Americans employed. 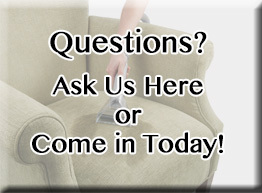 Riccar provides household and commercial consumer cleaning products. 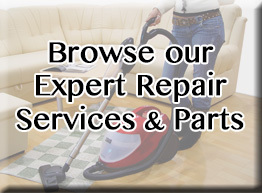 Riccar offers top-quality cleaning merchandise with the best, most useful, up-to-date features available. 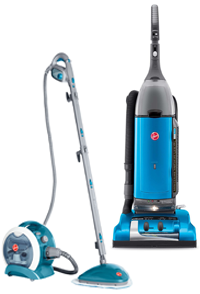 Riccar entrusts authorized dealers such as Mars Discount Vacuum to display and sell their products to the consumer and commit to high standards of service and ethics. These authorized dealers provide maintenance advice, vacuum accessory items, services, Riccar warranty work, and other services necessitated by a specialty cleaning product. Maytag Vacuums are proudly built in St. James, Missouri by the Tacony Corporation. American made Maytag products are not only built with high-quality parts and skilled craftsmanship, but they also ensure that more Americans stay employed. Maytag vacuums are built powerful, dependable and durable, and are designed to do what vacuums should do best: deliver superior cleaning performance. Flooring trends in American households are rapidly shifting to more hardwood and tile floors or newer types of carpeting such as Frieze carpets, and Maytag is manufacturing machines to fit these trends. Because when it comes right down to it, you show off your home not your vacuum. Since 1905, Royal vacuums have been committed to manufacturing the best and most innovative vacuum and vacuum accessories in the industry, making it one of the world’s oldest vacuum cleaner companies. In 1937, they revolutionized the industry by creating the first hand-held vac called the “Royal Prince”. This set the high standard for innovation and growth that Royal vacuums has been committed to ever since. In 1984, they once again revolutionized the market by introducing a new innovative hand-vac, the Dirt Devil Hand Vac, which has grown to become Royal’s signature product and prompted many more product introductions under the Dirt Devil brand name. 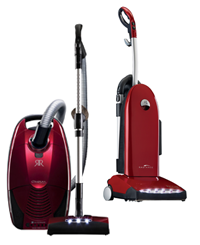 Nowadays, the Royal vacuum brand name is most notably recognized through the Dirt Devil name, and manufactures uprights, hand-vacs, stick vacuums, canister vacuums, and carpet shampooers. Miele Vacuums began production in 1899 in Germany by Carl Miele and Reinhard Zinkann, and has always been a family-owned, family-run company. This family centered philosophy has helped maintain the integrity and quality of Miele products for over 100 years. The first products that Miele produced were inscribed with the words “Forever Better”, this philosophy has persisted in every product manufactured by Miele. Built with a strict attention to detail, Miele vacuum cleaners are renowned for being built with a strict attention to detail, most notably for their impeccable HEPA filters and self sealing vacuum bags. The Miele vacuum brand is recognized worldwide for their unsurpassed product quality and constant innovation and improvement in response to changing industry standards. 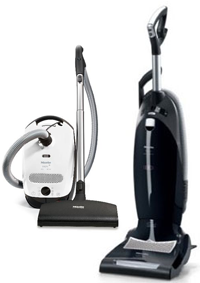 The Miele company philosophy is to provide first-class products and services to their customers through authorized dealers like Mars Discount Vacuums. For over 100 years, Hoover has designed and distributed powerful, reliable, and easy-to-use cleaning products for your entire home. They have always relied on reputable dealers like Mars Discount Vacuum to sell their products. Hoover has been an innovative leader since it’s beginnings in 1908 when they first started replicating an odd-looking cumbersome contraption made of a tin soap box, a fan, a sateen pillow case and a broom handle they called the “suction sweeper”. Since then, they have had many industry “firsts” including the use of a disposable paper bag, the vacuum cleaner headlight, the self-propelled feature, and the side-mounted hose feature. 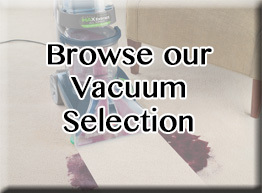 Their product line has grown to include full-size upright and canister vacuums, deep cleaners, and hard-floor cleaners. Today, Today, Hoover is part of TTI Floor Care North America, headquartered in Glenwillow, OH. As a leader in the floor-care industry, Hoover has grown to be a household icon and one of the most trusted brands in America. Dyson was founded in 1992 after its founder, James Dyson, created 5,127 prototypes of a vacuum cleaner before developing one he thought worked perfectly. 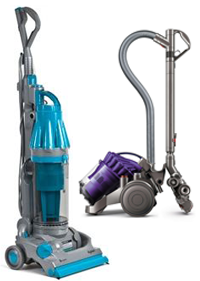 Dyson vacuums use a patented cyclonic technology, so their vacuums never lose suction. Dyson vacuum models include a line of uprights, canisters, and handheld machines. Dyson prides itself on engineering products which work in different and better ways than their predecessors. 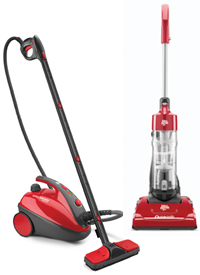 Dirt Devil vacuums began with a hand held vacuum in 1984, and has expanded over the years to include a wide range of vacuum cleaners to meet every need. Today, Dirt Devil manufactures everything from canister vacuums, to stick vacuums, to upright vacuums with HEPA filters. Dirt Devil’s mission is to recognize the needs of customers and solve their problems with quality products. Basing your central vacuum purchase decision solely on motor performance specifications means you might be in for a surprise! Many manufacturers use inexpensive motors yet charge a premium under the disguise of high “Airwatts” (a misleading industry term to denote cleaning performance and value -See Buyers Guide Section for more info). 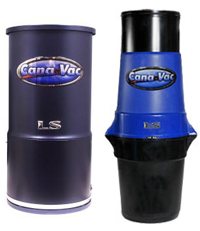 When choosing a premium Cana-Vac system, you can rest assured that motors chosen have been selected not exclusively based on performance specifications, but more importantly for their longevity and reliability. After all it is our reputation at stake and a happy customer is a repeat customer. Eureka has been making vacuum cleaners for over 100 years, and today the company manufactures over 130 different models. 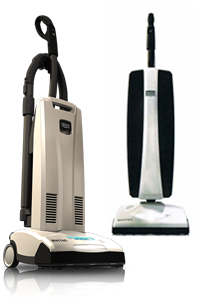 From canisters and sticks to handhelds and uprights, the Eureka line of vacuums can fill almost any need. 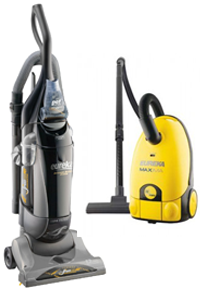 In addition to a wide range of vacuum cleaners, Eureka also manufactures original and replacement parts, such as bags, belts and filters for nearly all makes and models of vacuum cleaners. Many of Eureka’s models earn the ENERGY STAR® rating, and some are also equipped with HEPA filters for better air quality.